In an interview with Ben Van Pelt, a board member of NAMI Dane County, he explained that "this request also takes the necessary steps to improve the ability of school faculty to identify and ensure that children with mental health conditions are connected to the proper resources." Mental health training and learning positive coping mechanisms are skills that are helpful for any child to have, regardless of whether or not they have a mental health condition. Van Pelt also stated that, “It is imperative that mental health services and support be readily accessible to children and youth where they spend a large portion of their day in school.” With 1 in 5 school age youth having a mental illness, 80% of which do not get professional help, this budget request would provide children and youth much needed access to mental health services. It’s important to note that the lack of professional help for school age youth struggling with mental illness could be a significant contributing factor to unsafe school environments. Therefore, providing resources that allow youth to get the help they need may have a positive effect on learning and development. It is crucial for youth to understand that having a mental health condition is not negative, especially at a time in their lives when they are already questioning so much about who they are and what they are doing. 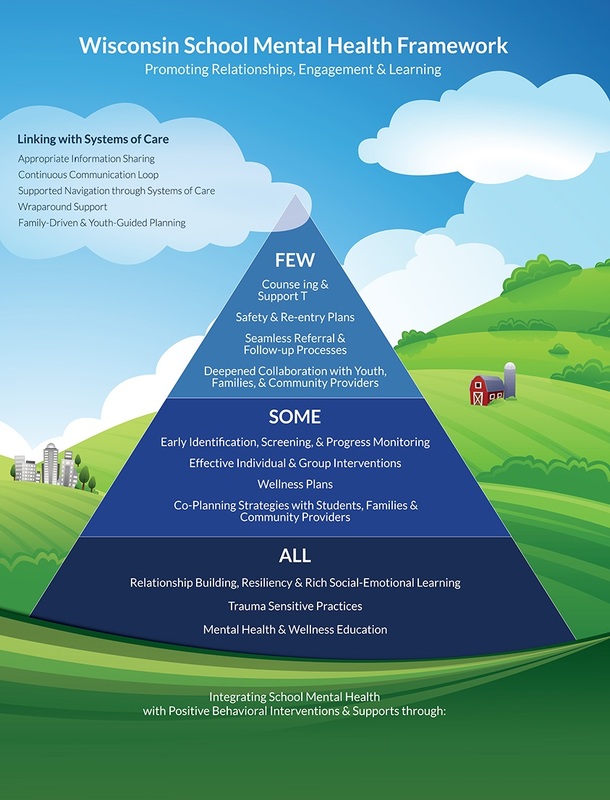 Additionally, increasing school-based mental health services, including the placement of mental health and social workers in schools; grants to ensure school-community collaboration; and training of educators and school staff in Mental Health First Aid, Trauma Sensitive Schools, and school-based Screening, Brief Intervention, Referral and Treatment (SBIRT) is a first step in normalizing the conversation about mental health and helping youth learn skills to care for themselves. Van Pelt also believes that this budget request “shows that the State of Wisconsin is making a commitment to youth mental health services, which is one of NAMI Dane County’s main priorities. It would also bring these vital services directly to children all across the state and provide our schools with the resources necessary to assist the thousands of kids living every single day with a mental health condition”. We couldn't agree more!